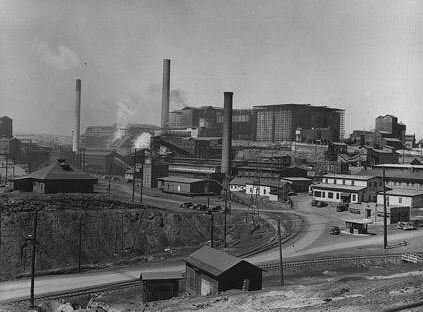 By 1840 the U.S. Census reported iron production from eighty-two furnaces, bloomeries, forges, and rolling mills in East Tennessee; forty-seven in Middle Tennessee; and four in West Tennessee. In 1870, however, the census reported only six producers of iron ore in the state producing just over 34,600 tons of ore By 1910 the state reported forty-six producing iron mines. 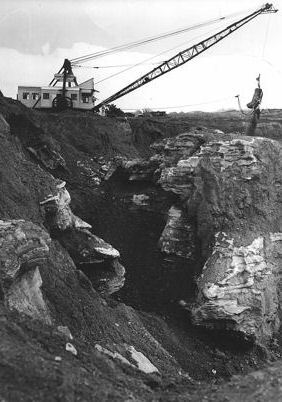 Pit mining along surface outcrops had almost disappeared, largely replaced by underground mining in the Euchee, Rockwood-Cardiff, and Chamberlain areas of central East Tennessee and the La Follette area of northeast Tennessee. 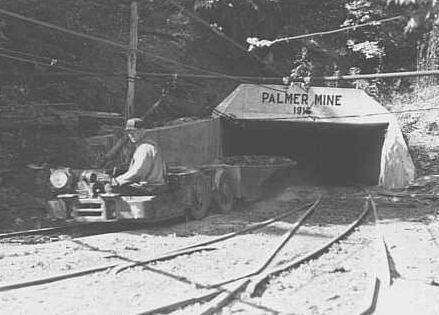 In the early twentieth century iron mining became less and less important in Tennessee as the number of producing mines and the volume of ore production both dropped by roughly half from 1909 to 1919. 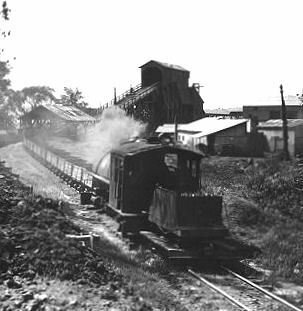 Iron's close companion in early industry was coal. 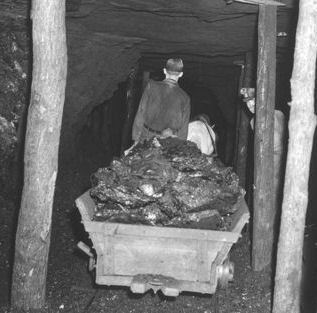 Tennesseans began to mine coal in small quantities during the 1840s. Blacksmiths who used the coal in their shops undertook much of this activity. 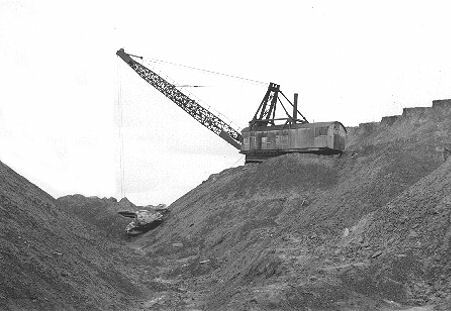 Unlike iron, however, coal production in the state has remained significant ever since. Tennessee coal is of the bituminous, or soft, variety and is found in extensive deposits along a northeast-southwest belt a little east of the center of the state. 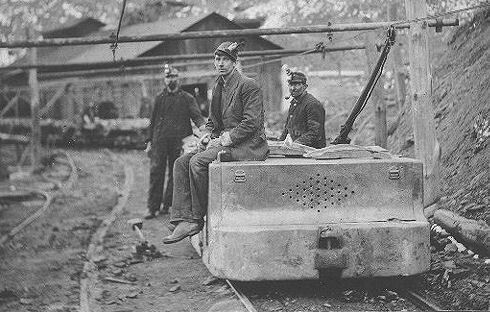 Coal mining became a significant Tennessee industry only after the end of the Civil War. 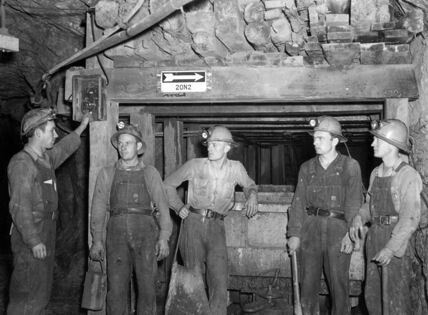 As late as 1840, the U.S. Census reported only two coal producers in the state. By the eve of the war the number had risen to six, with nearly 400 employees, but only $423,662 in value of production. These figures changed only slightly during the next decade. Tennessee was tenth of nineteen states in bituminous production, with output concentrated in Anderson, Campbell, Grundy, Hamilton, Marion, and Roane Counties. By the 1850s large scale coal mining had begun, and in the 1860s J. D. B. De Bow, the famous promoter of southern industrialization, predicated that the extensive coal and iron resources of the Cumberlands would facilitate the rise of industry. 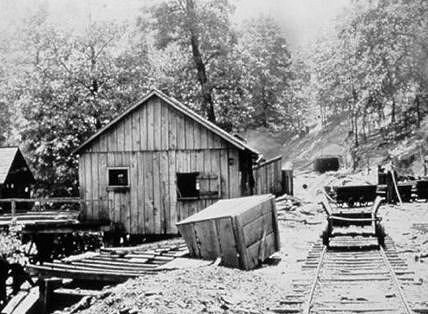 In the 1870s, northern investors and businessmen bought up huge acreages in the mineral areas of Appalachia and by the early twentieth century controlled most of the best coal districts. During the 1880s there was a fivefold increase in coal production. 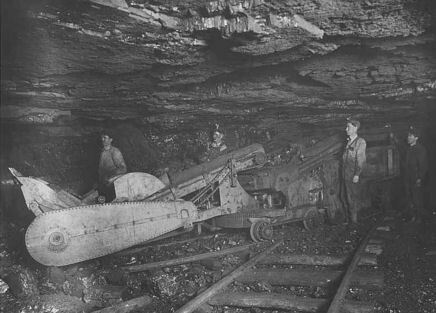 Five large mines operated in the Jellico coal field, which stretched from Kentucky into the Tennessee counties of Campbell, Anderson, and Scott. Other important mining areas were in Claiborne, Morgan, Hamilton, and Marion Counties. Fentress, White, Grundy, Roane, Overton, Bledsoe, Sequatchie, Rhea, Putnam, and Overton Counties were also coal producers. At the turn of the century about 85 coal operators were in the state. 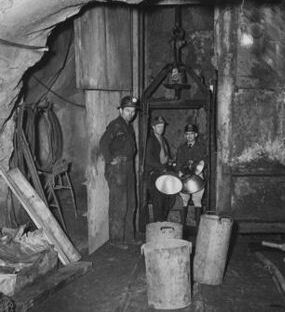 During the next four decades, the number of mines fluctuated, from a high of 145 in 1919 to a low of 78 in 1929, and back up to 123 in 1939. Production settled at around five million tons, while the value of production fluctuated wildly because of changing prices. 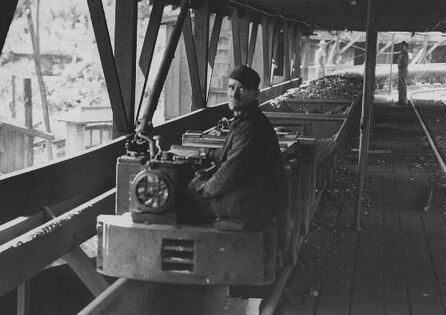 As late as 1909 far more coal was produced by hand pick than by machine. Because of new technology, the number of workers in the industry steadily declined, settling in at around 7,500 by 1940. 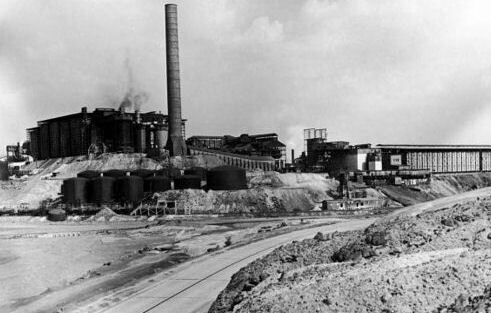 For the next twenty years production remained at about the same level, roughly 6 million tons mined each year, although a surge in production occurred during World War II. 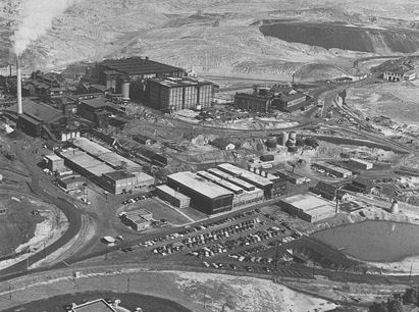 Production shot up again in the 1970s, reaching a peak of 11.2 million tons in 1972. During the same period, employment dropped due to increasing mechanization and the closing of marginal mines. 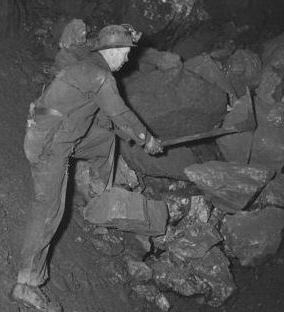 In the mid-1970s Tennessee ranked eleventh nationally in coal production. Lead and zinc production also has origins in Tennessee's early history. Lead is found in East and Middle Tennessee, commonly in limestones and dolomites, and usually in association with zinc. 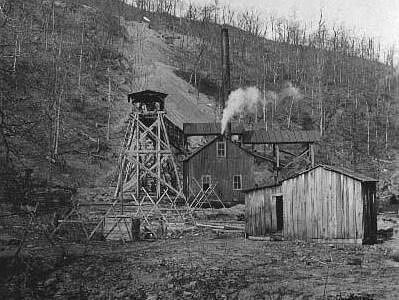 The earliest deposits mined were at and near Bumpass Cove (Embreeville) in Washington and Unicoi Counties. They were worked as early as the Revolutionary Era, while deposits in the Powell River district in Claiborne and Union Counties were mined in the nineteenth century to make bullets. 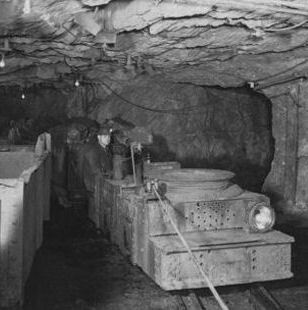 As late as the 1930s and 1940s the Kings Bend and Branch Hollow mines produced large quantities of zinc-lead concentrates, as did the New Prospect mine which operated almost continuously from 1883 to 1901. Other mining operations have been located in the White Pine district of Jefferson County. 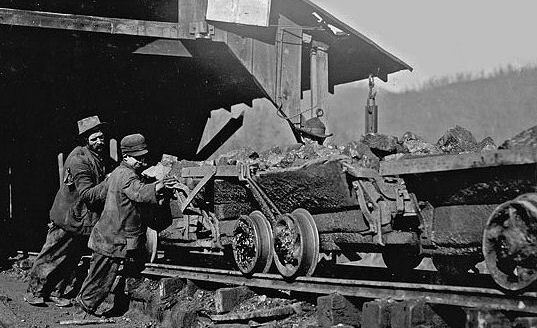 Some lead was mined before the Civil War in Davidson County, and by the Holt mine in Williamson County during World War I. 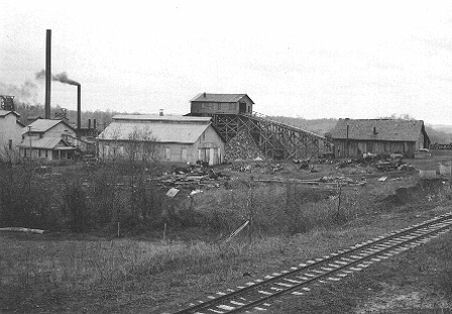 The first zinc mining in Tennessee occurred at Mossy Creek (Jefferson City) in 1854. 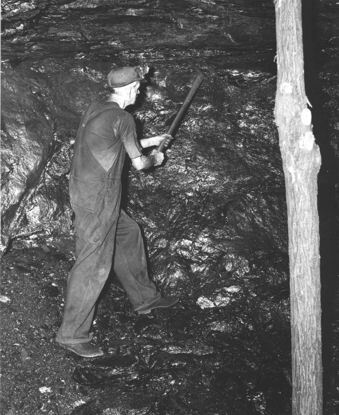 Subsequently mining also occurred in Claiborne and Union Counties. Other mining areas were in the Bumpass Cove region of Washington and Unicoi Counties and in Bradley and Cannon Counties. 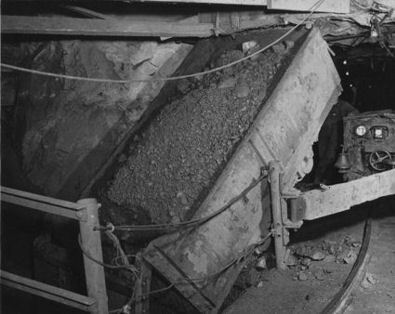 The early mines were mostly open-pit operations recovering ores near the surface. 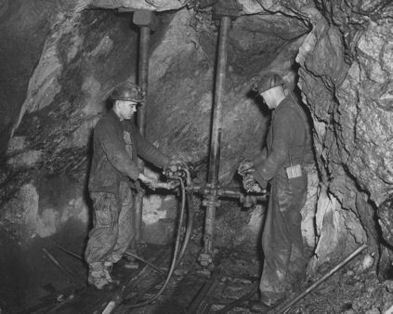 Once the surface deposits were depleted, the industry was dominated by large underground operations such as those in Knox, Jefferson, Hawkins, Hancock, and Grainger Counties. Tennessee was the only major southern producer of copper, which is considered second only to iron as an important industrial metal. 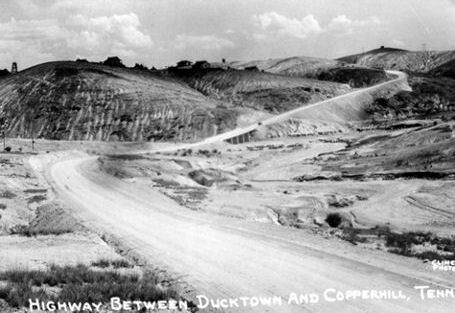 Copper mining in Tennessee began in the middle of the nineteenth century in the Ducktown-Copperhill District, commonly known as the Copper Basin, of Polk County. 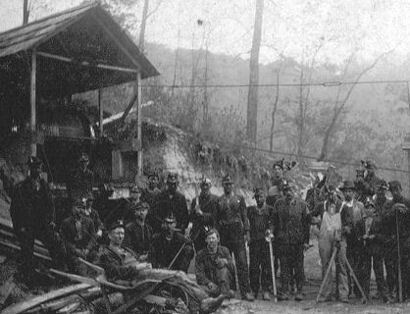 The origins of the Tennessee copper mining industry can be traced back to 1843, when a gold prospector discovered copper near Potato Creek in the southeast corner of Polk County.Copper mining began in 1847, and the Hiwassee Mine opened in 1850 and became the first deep underground mine. 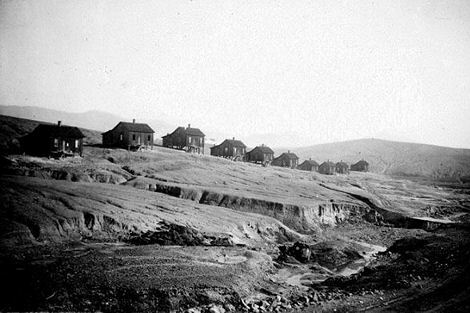 By the end of 1853 eleven mines were operating in Tennessee. By 1864 there were fourteen mines. The 1870 U.S. Census ranked Tennessee third nationally in value of copper production. 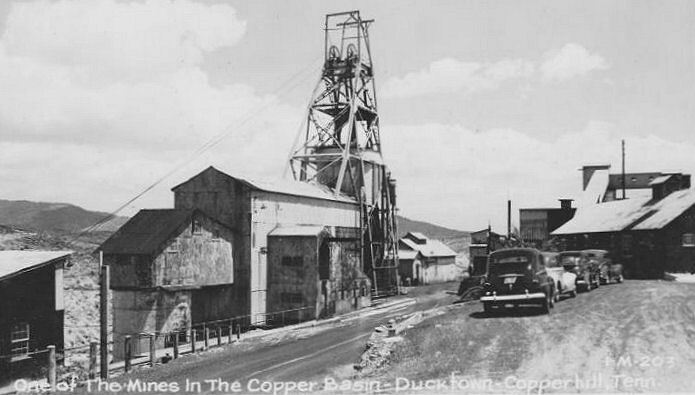 More than 30 mining companies were incorporated between 1852 and 1855 to mine copper at Ducktown. 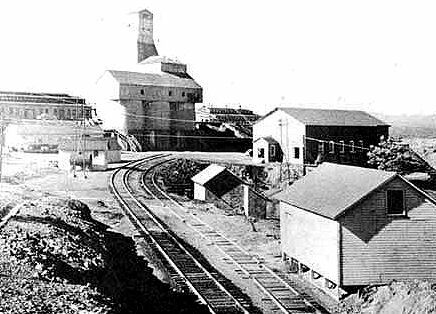 The first smelter was established at the Eureka Mine in 1885, and it was soon followed by several others. 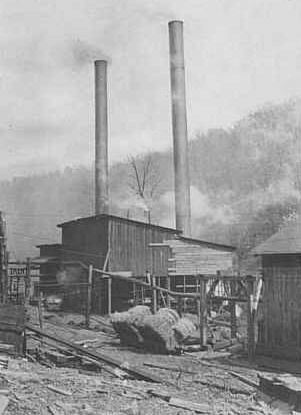 By 1909 copper was the second leading mineral industry in Tennessee. 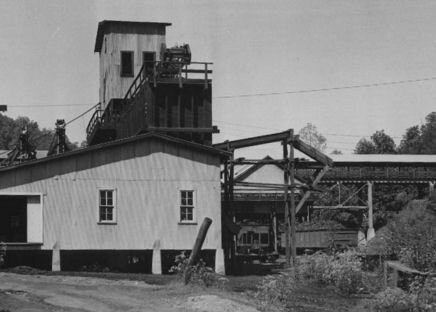 Copper mining continued in the area until the Tennessee Chemical Company closed its mines in 1987 after 137 years of production (with only a 13-year gap). 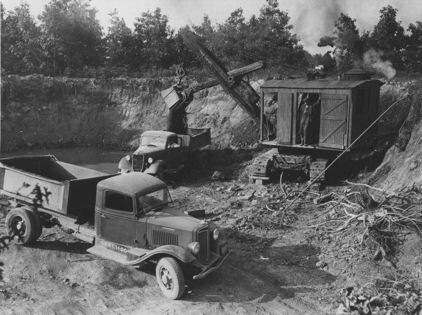 Tennessee was once a national leader in phosphate mining, and as late as 1990 ranked fifth in national production, even though the state produced only three percent of the nation's marketable phosphate. Three principal types of phosphate (brown, blue, and white) have been mined in the state, although most of the modern production has been of the brown variety. 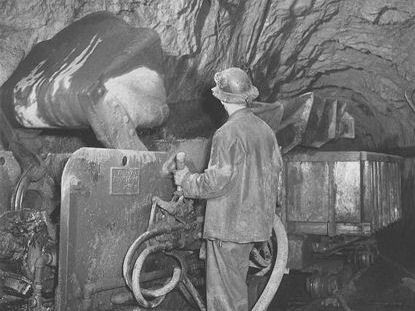 Production has come primarily from the four Middle Tennessee counties of Williamson, Hickman, Maury, and Giles, but there has been some mining in Davidson and Sumner Counties. 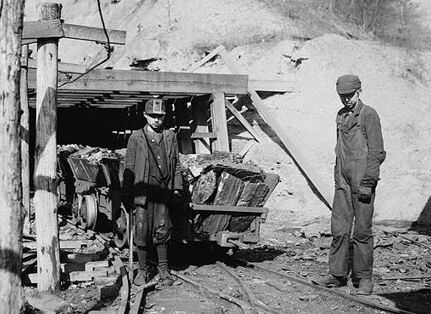 Tennessee has a long, rich, and varied mining history. 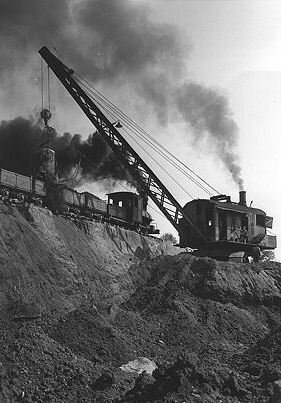 Historically, Tennessee's most important mining products have been iron, bituminous coal, copper, lead, zinc, and phosphate. Iron ore was the most significant during early settlement years. 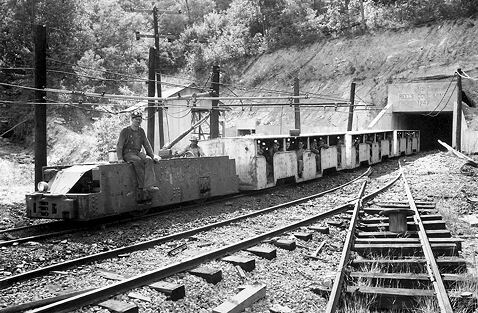 Interest in the iron ore of the Western Highland Rim dates back to the 1790s and even earlier in the eastern Tennessee mountains. 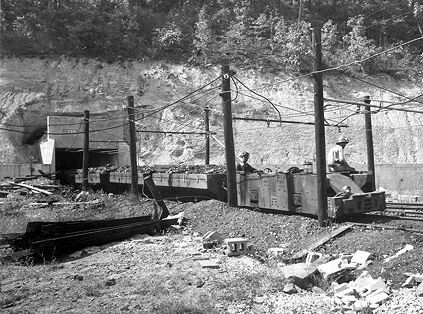 Historically, Tennessee's most important mining products have been iron, bituminous coal, copper, lead, zinc, and phosphate. Iron ore was the most significant during early settlement years. 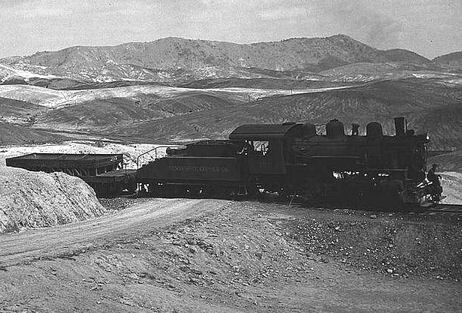 Interest in the iron ore of the Western Highland Rim dates back to the 1790s and even earlier in the eastern mountains. 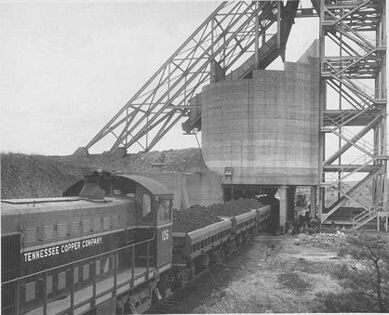 The commercially valuable iron ores were located in the valleys and mountains of East Tennessee and in Middle Tennessee and were processed in facilities that supplied mostly local and regional markets. 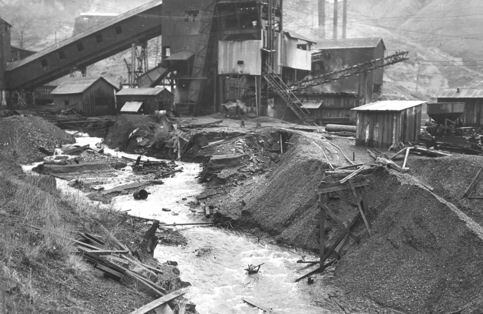 Soddy Mine, Durham Coal Co.